← Manchester, New Hampshire. 13th December, 2011. 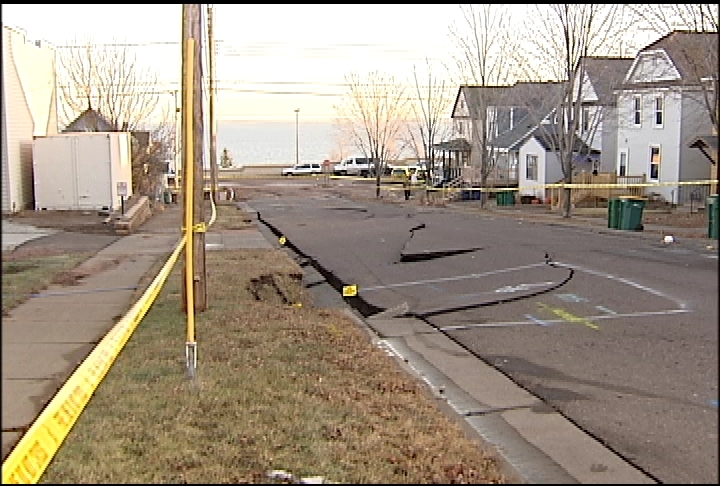 A watermain break at 17th Avenue East and London Road in Duluth appears to have created a sinkhole Sunday and caused problems with traffic. The break has left some homes and business in the area without water. Officials working to clean up the mess caused by the break have also placed road closed signs around the area on London Road. However city officials say they are working to repair the problem, but have not said yet what caused the break. This entry was posted in Pictures and tagged 17th Avenue East and London Road in Duluth, Duluth, Minnesota, MN, sinkhole. Bookmark the permalink.